Want to learn how to wake up early and with energy? Tired of waking up feeling the fatigue, dragging yourself out of bed, and having that fatigue follow you around for part or all of your day? You can train your mind and body to wake up with energy, to wake up earlier, even to wake up before the alarm. What’s your morning feel like? Do you hit that snooze button a few times, finding it more and more difficult to open your eyes each time? Maybe you even sleep right through that last alarm and find yourself waking up late and in a panic to meet your schedule? Do you feel fatigue in the morning? Have a hard time waking up, maybe even take caffeine pills or coffee to get going? Or do your eyes pop open, your mind instantly filled with energy and positive thoughts about what the day holds for you, while your body jumps out of bed, your feet hitting the floor feeling ready to go? Would you like that for yourself? How to wake up in the morning with energy. Suzie used to get up in the morning full of energy. She woke up a couple of hours before she needed to leave the house, and this let her feel like she owned her day. Owning her time in the morning, having time that she knew would go the way she wanted it to, set her mood for the day. It was a powerful thing in her life. She didn’t even realize how powerful it was, until she let it go. Suzie got a new roommate. And that roommate hated that Suzie was up so early. They would complain and complain. “Don’t wake up so early! Just get up a few minutes before you need to leave.” Of course, the roommate was being selfish. But Suzie allowed herself to be swayed. She started sleeping in. She no longer set her alarm to make sure she got up to enjoy her wonderful morning time. She got up and went straight to the shower, dressed and left for the office about 20 minutes after she had gotten out of bed. She told herself it would be OK because after all, she was getting more sleep. Doesn’t everybody need more sleep? 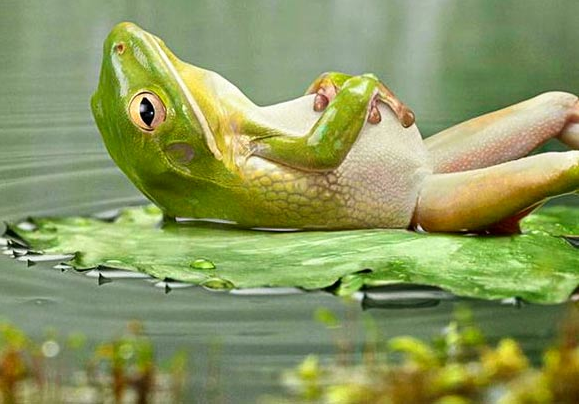 It wasn’t long before Suzie was feeling the negative effects of the change. She didn’t feel more energetic because of getting the extra sleep. In fact she felt groggy almost until lunch. She was in a surly mood. She no longer enjoyed the sights on her morning commute; her mind stopped noticing things that were unique and beautiful. And people at work were noticing, too. After about 6 months Suzie realized the mistake she had made. As the seasons changed, and spring approached, she found herself really missing her morning time and realized the change she’d made had changed much more than just her mornings. Roommate or no roommate, Suzie set her intention to go back to having her morning time. It took a couple of weeks of setting her intention (and her alarm!). At first her body balked at getting up earlier. She’d established a habit of sleeping in. But Suzie held fast to her intention, remembering how effortless and comfortable it had been before to wake up early, even before her alarm went off many mornings, and of all the rewards of having that morning time. You can be like Suzie! Ok, time to confess. Suzie is me. And that story was back in 1995/1996. Way before I took my hypnosis training, so I retrained my body and mind to wake up with energy in the morning again with my intention, creating a habit. How you wake up in the morning really is simply that — it’s a habit. And habits are learned. Reflecting on my experience and adding my current knowledge of how the mind works to create habits, I wrote Wake Up with Energy, using hypnosis and NLP (Neurolinguistic Programming), to make this process of setting a new habit to wake up with energy even more effective and faster working. 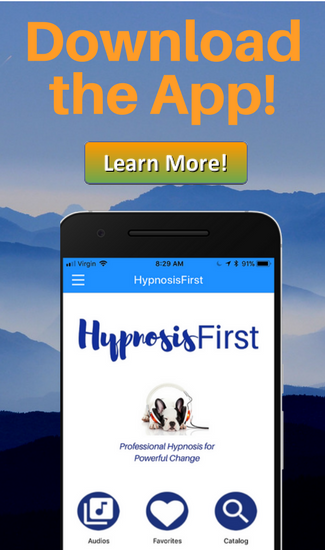 So while it took me 3 weeks to create that wake-up-early habit back in 1996, with this hypnosis session you should begin feeling the results with the very first morning you start using it. And as you keep on using this recording for 3 or 4 weeks, your mind and body will grow so used to that habit that it will become your new way of being. Maybe you’re like me and you’ll find that waking up in the morning, easily, and full of energy is a reward in and of itself and you won’t be able to even imagine ever giving that up again. After all, what would you be giving up? Sleeplessness? Fatigue? Caffeine pills? Create your new energized morning habit today! 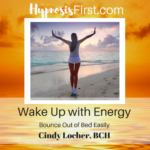 Wake Up with Energy Hypnosis Download programs your subconscious mind, using your desires and intention, to trigger the energizing abilities of the breath so you wake up easily, with energy, expecting great things from your day. Try it! It’s better than caffeine pills! Train your brain to bounce out of bed in the morning.